* Fixed Crash Issue experienced by some iPhone 6 users. Special thanks to our user Ashish for pointing out the issue soon. * Text to Speech option added for Bhagavad Gita English Verses. 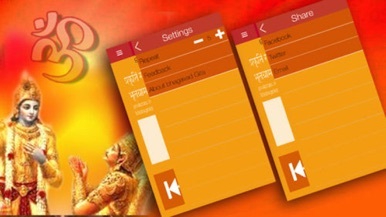 Now users can select 'Speech Voice' from settings and Text to Speech function will work automatically after Sanskrit recitation. Thanks for the overwhelming responses for our previous update(5.1) & your valuable suggestions. 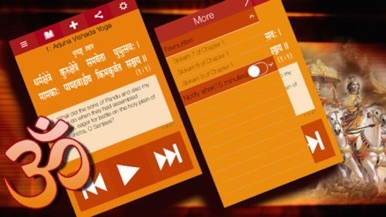 This pristine app contains 701 Sanskrit Slokas and corresponding texts in English and Hindi. 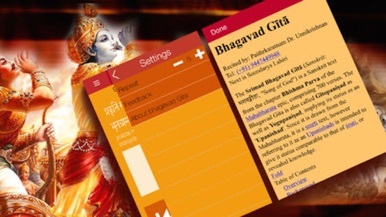 The multitude of exciting features in this wondrous app helps you learn and chant Gita. The puzzle action with a dice. Let's move the dice touching, and arrange the same number. Dices of the same, arrange three or more. Numbers of the dice, the more one Disappear before the dices, and re-align three or more chain happens. After the increase in the number of dices, the chain does not happen. Game Center Introduction. KJMM FM - 105 K-Jamz Tulsa's #1 station for Hip Hop & R&B! !